Anxiety. 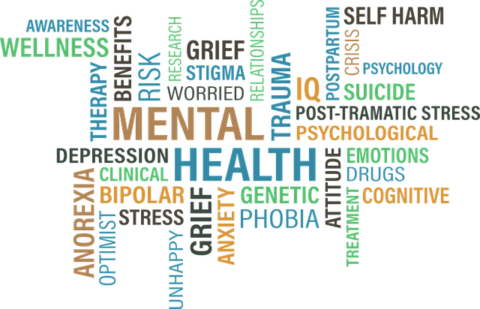 It is among the most common of mental illnesses in America, affecting approximately 40 million adults, which is about 18% of the population, each year. Overall about 33% of adults in the U.S. have some type of anxiety disorder, with about 117 million adults reporting high levels of anxiety. That does not include those thousands, if not millions, of people who go undiagnosed and untreated for anxiety. There are several types of anxiety disorders and conditions that vary in severity. There are about eight different kinds of anxiety disorders: GAD, which stands for generalized anxiety disorder, panic disorder, OCD, which stands for obsessive-compulsive disorder, phobias and irrational fears, social anxiety disorder, PTSD, which stands for post-traumatic stress disorder, and separation anxiety disorder. It has been found that nearly half of people suffering from depression also suffer from anxiety disorder, making the topic of depression more than relevant when discussing anxiety. People suffering from anxiety tend to also have an eating disorder or have trouble with substance abuse. Anxiety can be stemmed from a complex set of risk factors including genetics, brain chemistry, personality, quality of life, and life events. The reason anxiety is an issue is because it can cause serious tolls on not only your mental health, but also your physical health, which can all lead to premature aging and damaged health. So what is anxiety? It is a feeling of worry, nervousness, or unease, typically about an imminent event or something with an uncertain outcome, and it sets one in a feeling of fight-or-flight. It is important to point out that there is a difference between anxiety and stress; stress triggers emotions such as sadness, anger, worry, and anxiousness, but anxiety on the other hand is more of a feeling of dread, fear, and apprehension. Sometimes anxiety doesn’t have a specific trigger, but stress is caused by an external force. Anxiety isn’t necessarily bad, in fact there is a healthy amount of anxiety that everyone should feel. The problem with anxiety, however, arises when anxiety reaches an unhealthy state and it becomes very difficult to cope with. Most Americans are conditioned to be very high in achievement motivation, and overtime they learn that high achievement equals happiness and success. This push for achievement can be difficult and intimidating, leading to anxiety. Sarah Fader, a social media consultant, has said that “If you’re a human being living in 2017 and you’re not anxious, there’s something wrong with you.” This quote shows that in today’s world, it is almost impossible not be anxious, at least at some point in your day. Anxiety is starting to seem like a sociological condition to many health physicians. The National Institute of Mental Health has recently released their conclusions from a poll which showed that 38% of girls and 26% of boys aged 13-17 suffer from some type of anxiety disorder. Many are calling this type of mental illness growing epidemic. Simon Copland has explained that we have grown to be very active and busy with increasing work hours and that commercialization of public space has reduced our time for social activity. He said that we now “live in a society in which we are all increasingly socially isolated and lonely, destroying one of the key mechanisms available to protect against mental anguish.” Not only do we work long hours frequently, it has been found that Americans work more than anyone else in the industrialized world. They take less vacation days, less sick days, and retire later as well. People have stated that they are working at least 10 extra hours a week. From the time between 1970 and 1990, people revealed they are working an average of an extra month of time in a year. Are We A Society of Anxiety? pt 1 by Mia is licensed under a Creative Commons Attribution-ShareAlike 4.0 International License. I found your post very interesting. I really liked the bit about how american society and values has almost created and epidemic of anxiety and mental illness. I live in Utah which has the fifth heights suicide rate in the nation and is considered by some to be the number one state for mental illness in adults. When you talk about how we shape society it got me thinking about how ultimately we decided what matters in our worlds. We choose what cost the most money, what professions are the most successful, who we idolize, and what is “normal”. I think understanding this can help us learn why we are having a ” epidemic” of mental illness, once we understand how we are causing such an increase of mental illness than we can attempt to switch our society attention. Thanks for a good post to read!